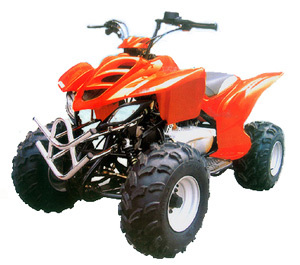 An ATV is a three, six, or eight wheel All-Terrain Vehicle equipped with an engine and a seat that is straddled by the operator, along with handlebars for steering control. It is designed to handle a wider variety of terrain than most other vehicles. The rider sits on and operates this vehicle like a motorcycle, but the extra wheels give more stability. Package policy typically offers a combination of Collision, Liability Comprehensive including: Theft, Water Damage, Vandalism, etc. Does My Homeowner’s Policy Cover My ATV? Yes, but only for liability and only when being operated on the premises parameter. A separate policy should be purchased to include a full range of liability protection as well as theft and collision and the other above mentioned coverage to give you the full protection you need.